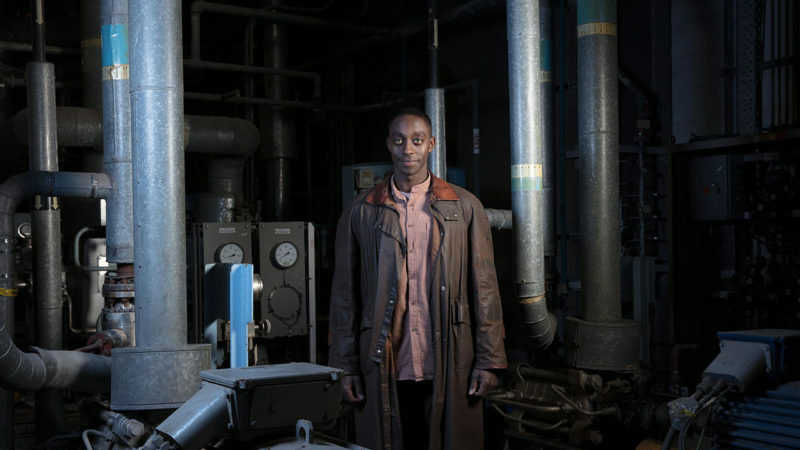 Season three of the sci-fi dystopian series Humans returns to Channel 4 this month along with one of its lead stars Ivanno Jeremiah. 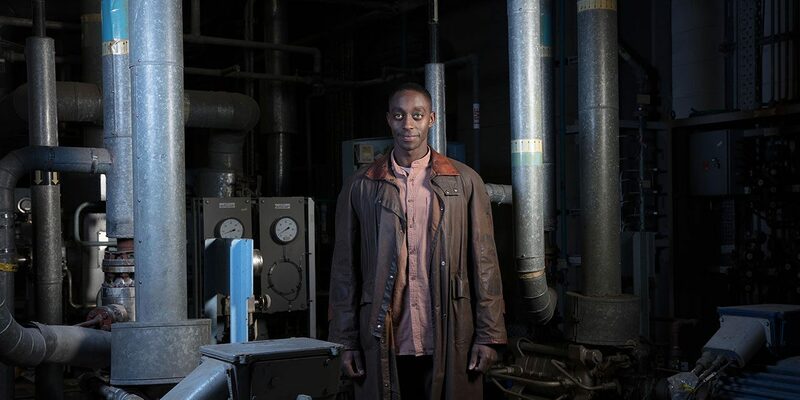 Jeremiah plays Max a ‘synth’ – an android created to service humans. However, Max is a sentient synth who has consciousness. Season 3 picks where Season 2 left off, a year after the ‘dawn of consciousness’ yep Synths across the globe started ‘waking up’. However, all is not well as humans aren’t quite comfortable living alongside robots with emotions and free will. We see a divided Britain where Synths and Humans are struggling to find common ground and live together harmoniously. The Synths themselves are splintering off, not all seeing eye to eye, and it’s where we see Max who is considered a pacifist and friend to humans, and his band of rebel Synths being forced to rethink their peaceful ways. 1# Ivanno, no doubt your increasing visibility on our screens will have you touted as a ‘breakthrough’ talent but does it seem like that for you? 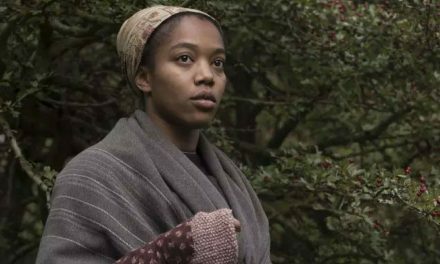 How long have you been chipping away at this acting lark? Well, this summer I celebrate my 7th year of acting for stage and screen after having left RADA in 2010. Feels to me like no time but yes it has been quite a while now. 2# Was acting something that the moment you were born you were destined for or was your route in not as straightforward? I attended my local Stage Coach, a weekend drama, dance and music school for youngsters. Had my first show aged 8 and loved it, enjoyed great feedback too. I’m sure you can imagine it wasn’t the easiest pitch to first generation East African parents, who had come here for better opportunities and to work. So no, it wasn’t on the cards at all but I soon learned there wasn’t much that dedication and a little cunning couldn’t achieve. I think I was at the BRIT School for almost a whole year before I was rumbled. I signed for it secretly and my parents found later the newsletter which gave it all way, but by then it was too late. 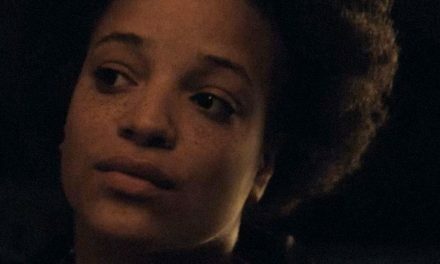 3# The BRIT school boasts a great alumni of British Black talent Cush Jumbo, Ashley ‘Bashy’ Thomas, Leona Lewis… what did you take away from your time there? The BRIT that we attended definitely didn’t feel at all like an institution, more an artsy haven. It has excellent teachers, we were surrounded by such amazing talent. It allowed the freedom to be bold and we had ample time to learn and create. The syllabus was excellent too and I think even to date they celebrate great exam results, BRIT has fantastic alumni. I think there was a lesson in that for me: knowing that it was a tricky profession and a potential minefield to navigate, the only thing ever worth focusing on was my own craft/projects/self and the rest – pray it continue – would fall into place. 4# Can you remember your first audition, did book the job? I auditioned for RADA, Bristol Old Vic and Central School(OSD) and stopped there because, to be honest, that’s all I could afford to pay for at 17. At that time, it was roughly £30 for each application – can’t imagine what kids are paying now. Anyway, miraculously they all came in as offers and I was over moon. That feeling when the call/letters came through was the single best thing about that process for me. The worst is the waiting. 5# So, Humans season 3 is about to air this month and your character Max a synth who’s effectively the leader of the ‘rebel’ synths has a lot on his shoulders … can you tell us about Max’s journey since the first season? Max is indeed a ‘synth’etic, a humanoid sentient robot whose purpose of design was to guard, show love and protect Leo Elster, Son of Dr. David Elster, who takes his own life leaving his half-robot son Leo in the hands of our sentient synth family. Throughout season one we see Leo, his brother Max and the rest of the new Elster Family fending for themselves in a Brave New World. This world isn’t ready for them nor is it welcoming and we see this family unit break apart. Over the course of the past seasons, we followed Max as he has experienced serious pain, tragedy and tried to find his place in society. 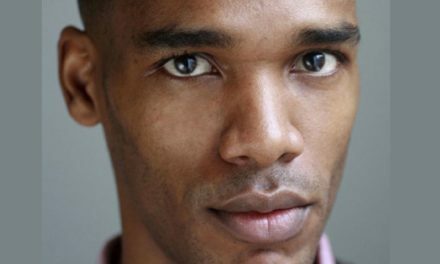 As seasons one through two play out, Max is abused, chased, shot at, loses his older brother Fred (Sope Dirisu), searches for solace in God but to no avail, is abandoned, falls in love, martyrs himself for his brother, dies, comes back to life and starts a railyard commune for societies dejected synthetics. He has grown a lot and has responsibilities to show for it. 6# From watching the first episode of this latest season and without giving away too much it seems Max will have to make decisions that will challenge his peaceful consciousness, can you give some context into how this will affect him and the narrative? A Year on from the end of Humans 2.0 and a code to activate consciousness in all Synths worldwide was released, terrible tragedy ensued. Over 100,000 Human lives lost, devastation everywhere and Human attitudes towards Synths have shifted drastically for the worst. Under pressure from the adversaries and impending doom, the loving Max’s hand is forced at times to act out of character. As an audience, we get to see how far he may or not may go to protect his people and family. 7# As an actor you’re trained to humanise your characters and bring them to life. How do you balance humanising Max yet executing his very controlled speech and movement as a Synth? There’s no way around it really, it is difficult, even this far on in the series. Three seasons deep, there are still moments we struggle to get loose in the cut because of the smallest things. I have to concede that it is the uniformity of the movement that makes the whole thing believable. My most frequent crimes are either crying or over blinking. 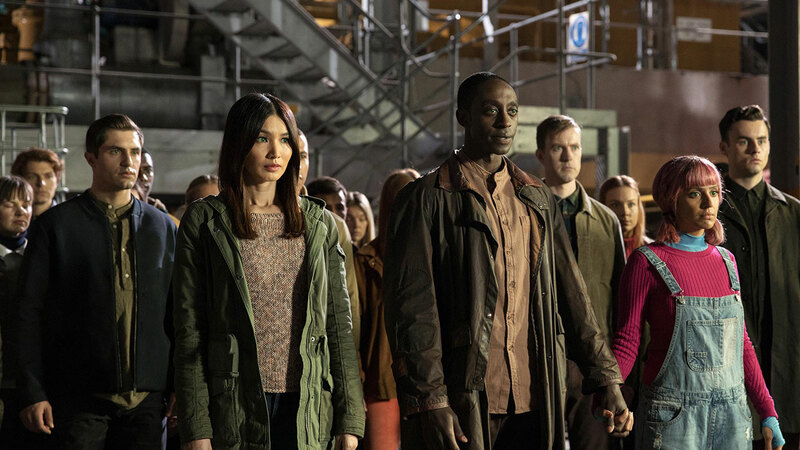 8# Humans has reached a very apocalyptic moment the synths have awoken, there are political groups against the integration of synths into society, all very replicant of what’s happening in society today, are you surprised at how reflective it is, and how does it affect you and fellow cast? How do you shake it all off? The only kind of work I’ve ever really been interested in craftily holds up the mirror to what is really going on in the world, and from the safety of that ‘fictional’ construct, allow us to hopefully revaluate how we can live our lives for the better. It’s great to be a part of a piece that is so relatable. 9# Would you have a synth if they, well when they become readily available? I won’t be camping out overnight or first in the queue, but I think I vaguely remember saying I wouldn’t ever get a “smartphone”, what’s the point? 10. What’s next for you and what do you hope audiences will take away from Humans this series? 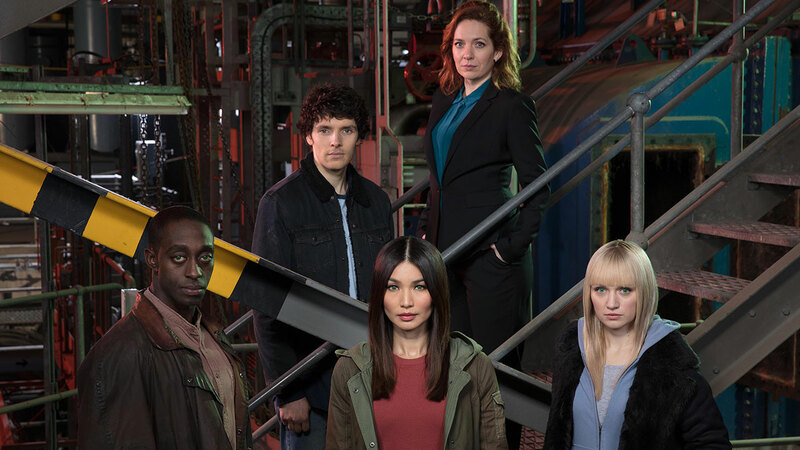 Humans season 3 continues Thursdays at 9pm on Channel 4. Premiering in America on AMC, 5th June.